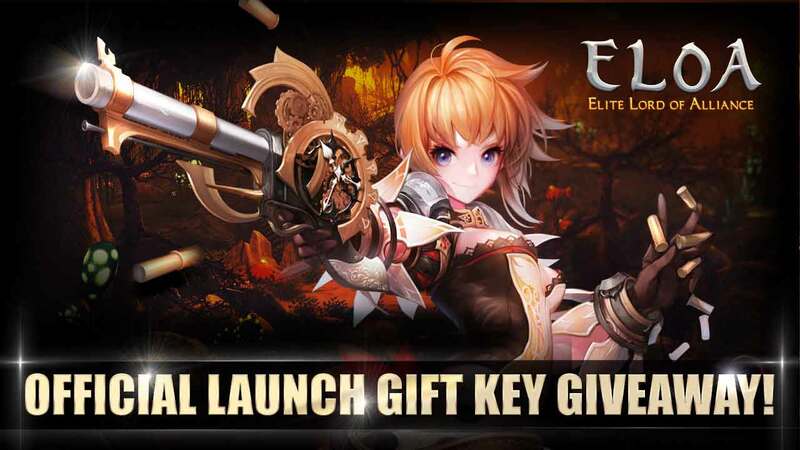 MMO Attack and WEBZEN have teamed up to offer fans of ELOA: Elite Lord of Alliance, an anime inspired triple action hack ‘n’ slash MMORPG, a gift key that will give players several items in game that can help you along your journey. If you don’t know yet, ELOA’s official launch was today, November 24th, so this giveaway is in celebration of the launch day festivities! * Server Chat: Can use server chat 1 time for each item. * Eva’s Tear: Recovers total HP and MP by 30%. * Eva’s authority: Decreases cool-down time by 10% for 1 hour. * Eva’s breath: Can be used upon death. Immediately resurrects you at your current location.